On June 10, 1963, the Equal Pay Act was signed into law by President John F. Kennedy. The act outlawed paying men and women different wages for the same work. Thanks to the 1963 Equal Pay Act, women and men are legally owed the same wages for the same work performed under the same conditions. 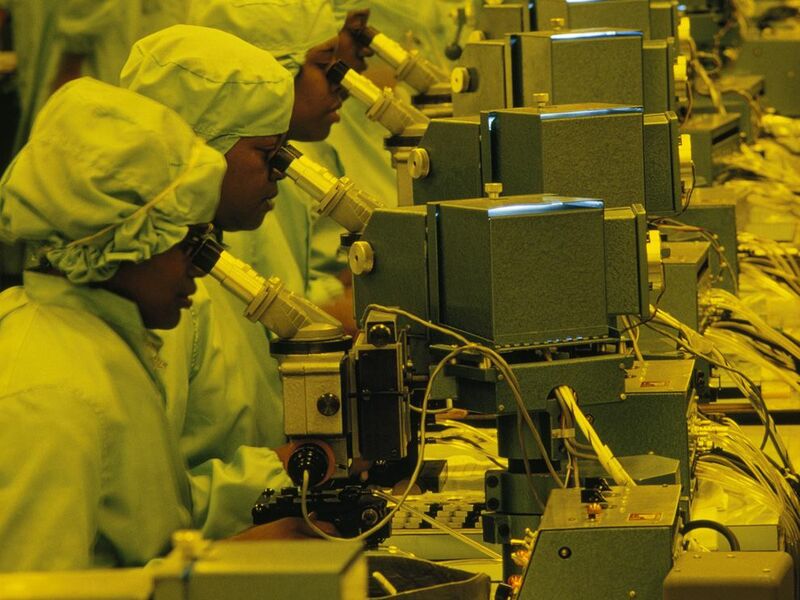 Here, male and female technicians work on integrated circuits. On June 10, 1963, the Equal Pay Act was signed into law by U.S. President John F. Kennedy. The act outlawed paying men and women different wages for the same work. Bringing a lawsuit against an employer for violating the Equal Pay Act can be difficult. The employee must prove three things. First, that men and women are paid different wages. Second, that these men and women “perform substantially equal work on jobs requiring equal skill, effort, and responsibility.” Third, that the work is performed under similar working conditions. Women have made tremendous progress in the struggle for equal rights. However, despite the Equal Pay Act, the “gender pay gap” still exists. According to the American Association of University Women, “women typically earn about 90 percent of what men are paid until they hit 35. After that, median earnings for women are typically 75–80 percent of what men are paid.” The gender pay gap exists across most career paths, from accountants to teachers to zookeepers. notwithstanding or in spite of something. person or organization that hires people for wages and salaries. legal action brought by one person or organization against another. to make illegal or against the law. money or goods traded for work or service performed.